1955 81835	Woman, with 2 children, near stove, with Thanksgiving roast. 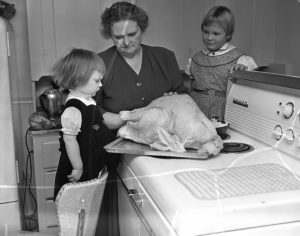 1955: Seriously stuffing the turkey. 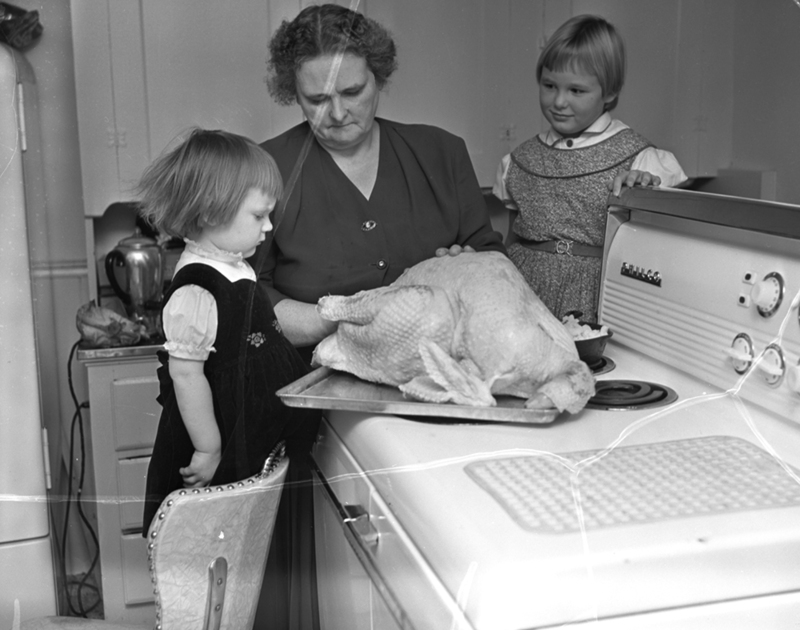 1955: 81835	Woman, with 2 children, near stove, with Thanksgiving roast.